North American Bigfoot: Do Bigfoots Have Regional Accents? One commonly-used field technique for bigfooting is call blasting. Back in the late 1990's and 2000's, this was usually done with loudspeakers and amplifiers hooked up to CD players. The most common calls used were the Tahoe Scream (there is no public source for this recording) and the Ohio Howl. While John Frietas is often recognized as the godfather of call blasting, it was Roger Patterson himself that tried this method first to my knowledge. He not only recreated bigfoot sounds by yelling into church bells (to add resonance), but he also blasted calls off of a tower on a property in Tampico, WA. Call blasting sounds purportedly made by bigfoots brings a number of questions with it. First of all, how does one know the sounds are bigfoot sounds unless somebody saw the creature make the noise? Even if the recordings are in fact bigfoot sounds, what are the bigfoots saying? After all, they could be saying, "Stay away! There's a human here!" A group of researchers has discovered that crested gibbon apes have regional accents. The scientists studied the singing of over 400 crested gibbons in 24 different locations in Asia. Gibbon songs are made to travel over long distances in thickly vegetated areas by having a single frequency. It was found the songs that were most similar came from species that genetically were very closely related. Identifying gibbons by their songs is easier than by genetics because obtaining physical samples is difficult, whereas the songs are constantly being emitted and can be heard from some distance. Also, the songs can help identify where the gibbons are from, sort of like regional accents for humans. Very interesting. Language and accents is totally interesting. Having a background in linguistics I find the idea of Bigfoot language absolutely fascinating. I have heard the audio of supposed Bigfoots speaking to one another in a language that sounds decidedly Japanese in origin (which is interesting since it doesn't sound Chinese, Korean, or typically Native American) I have even heard of a legend that a Navy linguist has studied these audio tapes and translated them. If Bigfoot is a primate, as you assert, it is certain that it does have a language of sorts. And, as languages go there is dift and variation in both the phonology and morphology of all languages. I think most Linguists , who are willing to assume that Bigfoot have language, would basically say that this article is a given. Thank you for sharing this information. I read this and immediately thought of Squatches. Apes are so smart! 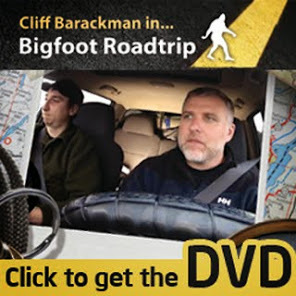 No wonder it's so hard to trick a bigfoot.